Reliable, long-lasting LED signs are a great investment for business owners. Hardman Signs - expert fabricators of indoor and outdoor LED signs since 1987 - is the company to call with all of your LED signage demands. We employ a trained and talented staff of signage experts who will listen to your specifications and fabricate the custom LED signs that you need to effectively showcase your business and your product. 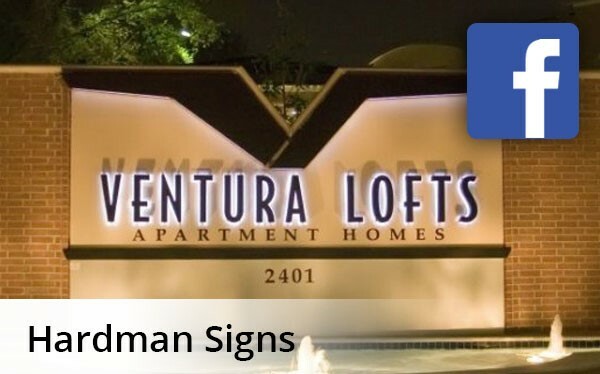 As a leading Southern sign company, Hardman Signs has provided Houston LED signs, Austin LED signage and Atlanta LED sign services for clients across a spectrum of industries. Our on-staff designers and engineers will create and fabricate your LED signs and our trained repair and maintenance staff will perform installation and provide regular servicing, guaranteeing the long life of your signage. Whether you need indoor or outdoor LED signs, Hardman Signs is the company to turn to for efficiently-created LED signage. We can create the custom LED signs that you need to keep your company's name in lights. Need Indoor or Outdoor LED Signs? ...Call Hardman Signs today. We have the years of experience and the qualified personnel to meet your requirements. Fill out our no-obligation quote form to receive your FREE estimate, or call with your LED signs specifications today.